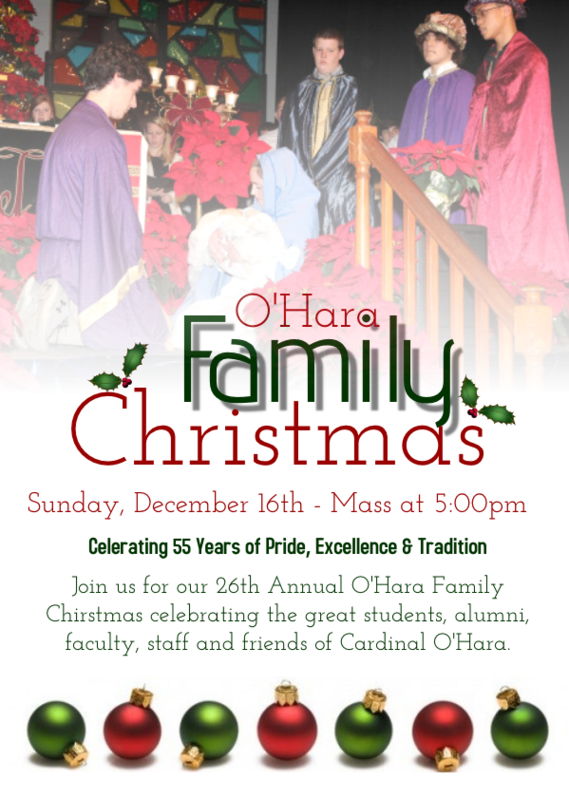 Join us for the 26th Annual O'Hara Family Christmas on Sunday, December 16th beginning with Mass at 5:00. It just doesn't feel like Christmas until O'Hara Family Christmas! Join us for the 26th Annual O'Hara Family Christmas on Sunday, December 16th beginning with Mass at 5:00. We hope to see you there!